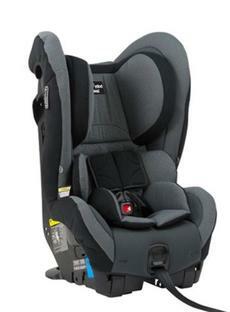 The Ezy Switch EP is designed to accommodate a newborn baby through to 4 years (approximately). Start your baby's journey rear facing your child can remain rear facing until their shoulders reach the lower shoulder height marker (approximately 12 months) or the middle height marker (approximately 2-3 years). Then convert to forward facing position until their shoulders reach the upper shoulder height marker (approximately 4 years). Great product- super easy to install and perfect transition from capsule for my 11month old little girl. Very happy with purchase. Easy to install, easy enough to adjust. Hi, really impressed with the delivery and product. Only thing is that my baby keeps kicking the stabiliser bar out of its spot when in extended rearward facing mode. This makes me a bit nervous that the seat could be safer by having a better locking lug system for that part. We found the product very good price & quality. My nearly one year old granddaughter loves it and very comfortable and easy to use . Love this seat for my 2yr old!